Easy to use with beautiful results! 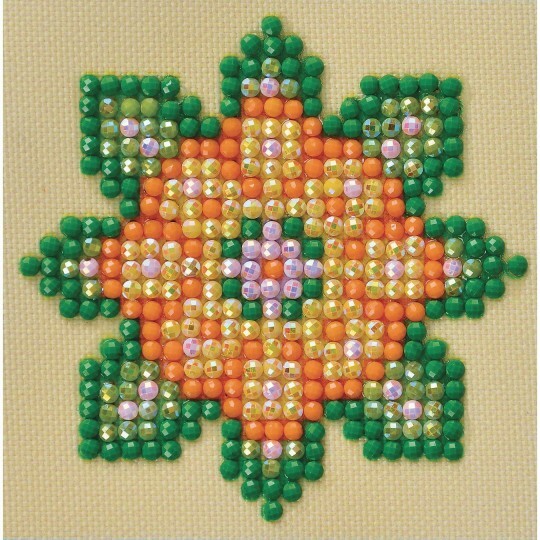 Create a flower mandala using Diamond Dotz® Diamond Embroidery™ facet art kits which produce a stunning shimmery effect. 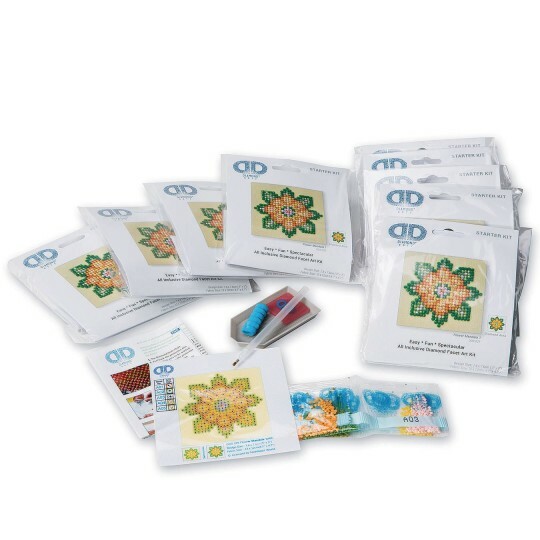 Pack of 10 individually packed kits, each which include all supplies and an instruction. Easy to use with beautiful results! 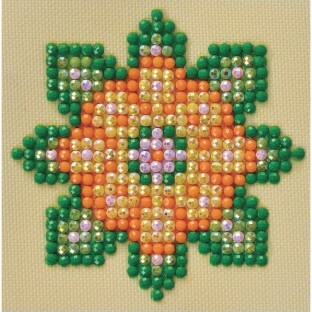 Finished design measures 3” x 3”. This is an attractive design very pretty and sparkly. However the gem pieces are TINY. Not appropriate for small children or people with poor vision. I think this would have worked better had it come with a pair of cheap tweezers.That said my residents mostly enjoyed making these a few were frustrated by the size of the pieces.